Instagram is, in all honesty, simply a photo sharing app. The simplicity of this photo-sharing app and utility as a marketing tool has brought it to a staggering 800 million users with more joining every day. As the numbers continue to climb the team will continue to add features ensuring that Instagram will remain among the top platforms. Even if you’re marketing successfully on other social platforms you may want to consider Instagram. The platform boasts roughly 15 times more engagement than its competitors. 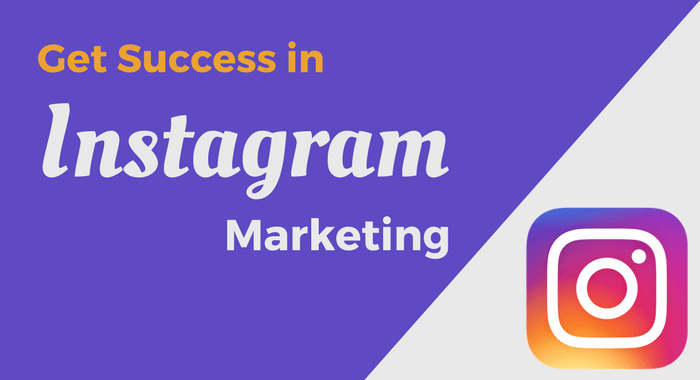 If you aren’t marketing successful on other platforms, Instagram is an excellent place to start. All it takes is a little creativity and a well thought out strategy. Let’s say you’re completely new to Instagram. You run the “Solar Iconic” company and are looking to increase awareness of your brand. Your first step would be to create and name your account, there are no spaces in Instagram handles, so “SolarIconic” would be your best shot. If that was somehow taken, your best bet would be to find another short way to use that name. “SolarIconicLTD” is always preferable to “Solar_Iconic_SanDiego”. Less is always more and if your visitors can remember your account name they’ll have less difficult searching for you in the future. Since you now have a title you can take advantage of a recent feature Instagram has implemented: business accounts. A business account gives you access to Instagram’s in-house analytics. This is a fantastic way to tailor your content for success and we’ll return to this later. For most people, the next step is the bio, here is where you’ll state the purpose of your account, and you can use this for anything. You can request people to direct message pictures of themselves using your products, state your company’s hashtag, or list your affiliates. The general idea here is to state who you are or what your company is and what it does. The goal is not to sell here! Keep it light and match the tone in your bio that what you intend to keep with your content. Under the bio is where you can leave your link, this URL space is prime real estate. Use it wisely because there are no other places for active links on the platform. Content creators can use this to link to recent videos, music or new products. Get creative and take advantage. Once your initial setup is complete it’s time to start uploading content. The goal here will always be to upload content that visitors want to engage. This engagement keeps them coming back and makes them more likely to share your content. As new visitors come in the cycle will continue as you grow your following. Before you start snapping photos and creating videos, keep in mind that consistency is important. If the concept is too abstract look at the accounts of companies in your industry for ideas. Successful Instagram accounts will, more often than not, have a consistent theme as well. A “bookstagram” may have images all taken on the same table with different stacks of books and decorations. A professional photographer may have all of their images uploaded exclusively in black and white, while a tech company may exclusively upload content showing products and people using their products. Once your theme and tone are set your content has a few standards that must be met. Generally speaking, your content should be original, of high audio/visual quality and it should add to the conversation. These are all easy to do, but many skip out and wonder why people aren’t interested in their uploads. Solar Iconic should upload photos related to its brand. You yourself should rarely be in photos if it isn’t necessary. You can and should be in “stories”, but we’ll visit that later. By bringing content that no one else has you are giving your followers a view into your company. People appreciate this “behind the curtain” perspective. Sharing content that belongs to others may even take positive attention away from you. The exception to this rule is when you’re sharing content of an account that is related to your niche. At that point, you’re introducing your followers to someone/thing else they may find interesting. Also, assuming you have proper etiquette and tagged them, you’ll likely secure more followers through reciprocity when they tag you. By uploading perspective changing content, making insightful statements your content and following up on follower engagement you’re “adding to the conversation.” This helps you gain authority within your niche. People that are interested in solar tech may come to your page to ask questions and get answers. Now, all of the above wouldn’t happen if your content was rubbish in the first place. While you may want to focus on growing your company and simply snap photos with your phone, this is only acceptable very early on. It is unfortunate, but bells and whistle get people to the door. Consider investing in a quality DSLR camera as an advertising expense, simple cause high definition audio and visuals are simply more shareable. As long as you keep in mind that high-quality viral content is the goal, shelling out the extra couple hundred dollars won’t sting as bad. Let’s be honest, you plan on using Instagram to leverage your follower base and create conversions. This is totally acceptable and major companies have been doing the same for years. One mistake that you’ll see on occasion is companies attempting to make hard sales on the platform. There are multiple factors at play that stack the deck in your favor here. Roughly 90% of information transmitted to the brain is visual, which makes marketing with images ideal. Approximate 38% of Instagram users say they’re influenced by their favorite brand’s social media. This puts the ball in your park as well. The downside comes in when people attempt to make a hard sell because the majority of people simply don’t trust salesmen. The truth is that there is no control over where people buy online or not. When you consider the sway you have by marketing on Instagram you should also consider the disservice you’re doing yourself by purposely trying to sell. Instagram formats all of its images with a 612 x 612 square. This means that you, being the professional you are may need to modify your images in Photoshop or a like editor so they fit appropriately. Since you aren’t selling on the platform your goal should be brand recognition. You want your followers to know what your brand stands for. This is where stories really shine. Candid moments with you the guys/girls at Solar Iconic are perfect for this. Your followers are already behind the curtain so now you can let them into the break room. When you’re uploading your normal content be sure to use the appropriate hashtags for your brand. Made up hashtags can be fun, but their purpose is to increase your exposure. There are apps to find specific hashtags that will get the most eyes on your content. Some people prefer to upload content and leave it at that. For these people there are bots. These programs aid your account by liking, following, unfollowing and commenting for you. They find other accounts by tracking the hashtags you regularly use. Their activity creatives authentic engagement on your account through the above mentioned reciprocity. If you like to know more about bots to automate your Instagram you should take a look at FredHarrington.com, there they review all the popular bots. As you’re uploading content and time you goes by, you may want to know what drove the most engagement. For you, there’s analytics. They can provide all types of solid data. This data, collected over time, can be used to develop and tweak your content creation strategy. Not a fan of snapping photos, editing in Adobe Photoshop, creating a brand strategy or brand specific hashtags? If this all sounds like a bit much, no worries. There are professional teams that can do all of the above for those that can afford their services. Success on social media can be a major hurdle for some. For those with patience, a plan or a budget for content creators it is definitely possible. The chance to put your company in front of 800 million people is definitely worth the effort so go for it!